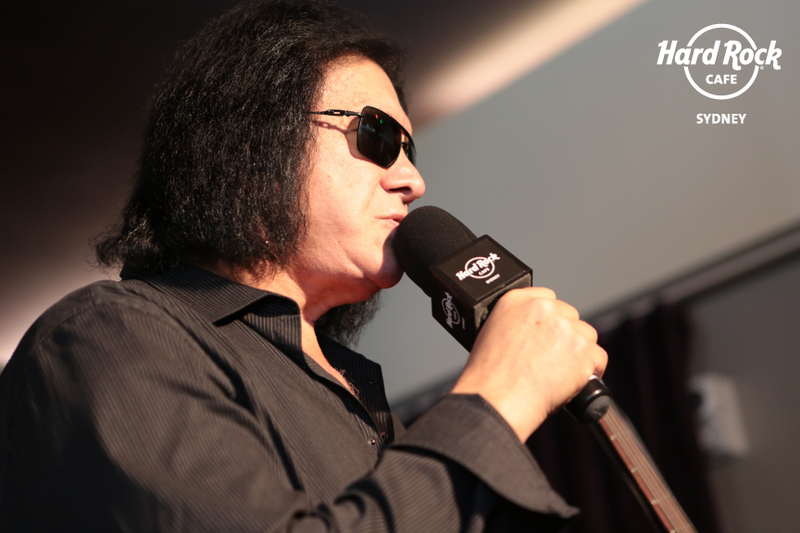 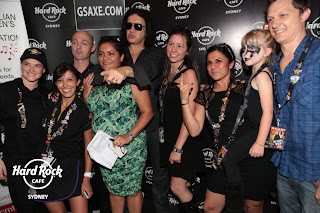 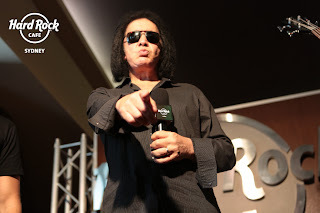 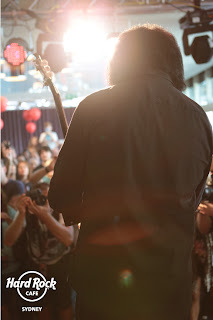 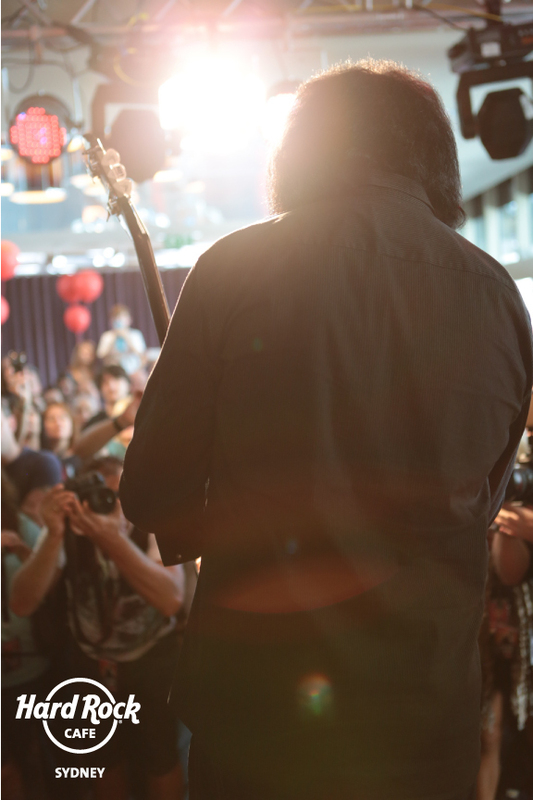 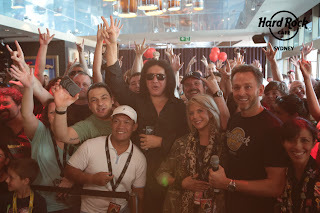 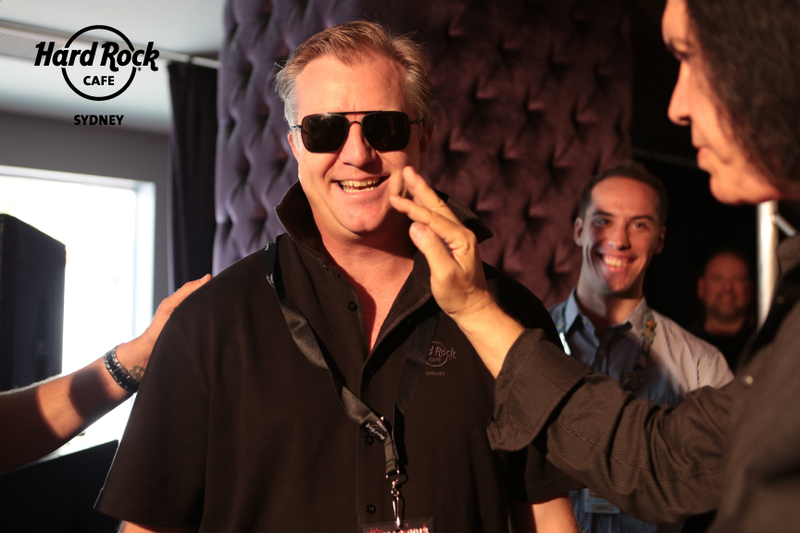 Gene Simmons, KISS and Hard Rock fans got an awesome treat yesterday - Gene Simmons, bass guitar and co-vocalist of the legendary rock band paid a visit to Sydney's Hard Rock Cafe at Darling Harbour. 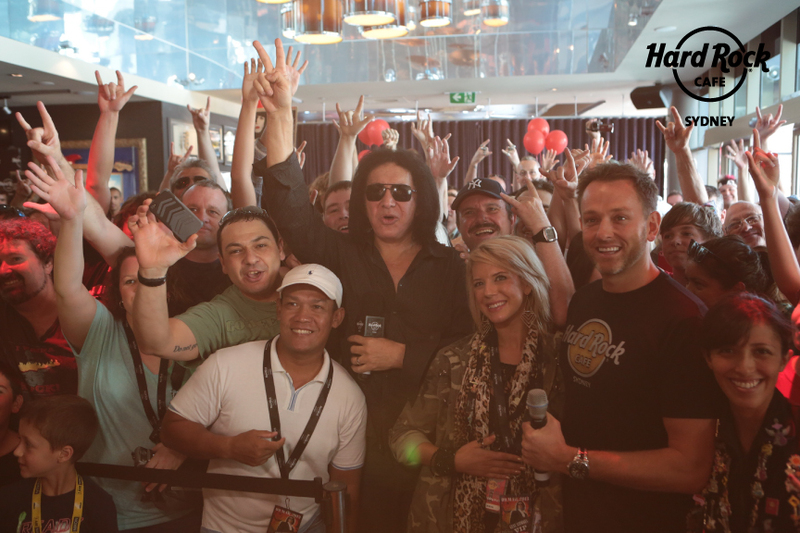 It all went down very quickly and without much noticed so our regular photographer got photos which are barely usable, but fear not - our friends at Hard Rock Sydney have kindly sent us some photographs so our loyal audience can enjoy. 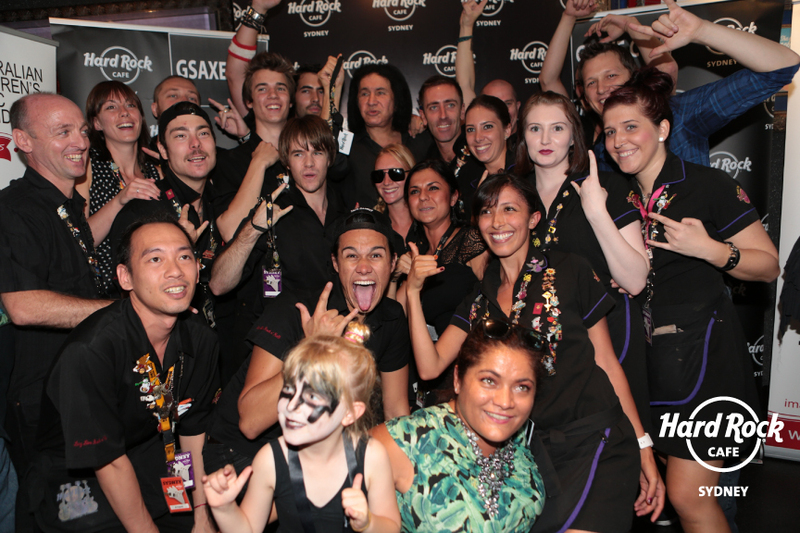 Word on the street is that Hard Rock Cafe Sydney will soon be securing more big name rock gods and celebs that will stop by and say G'day to fans, media and everyone else, so don't change your dial. 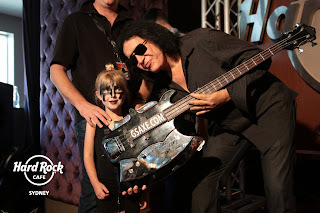 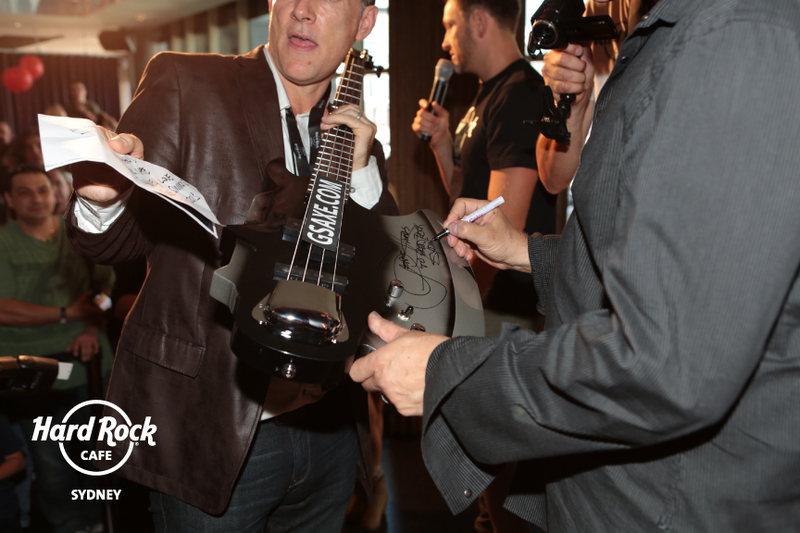 Good on you Gene for dropping in and for donating the cool guitar to the Hall of Fame, and wishing you continued success as your Australian tour continues.